These patterns are so prevalent for the successful teams that we will be sharing these “escape room cheat” in the hopes they will improve your chances in an escape room, but more importantly in the office context as well. In the escape room, as within a team meeting, there’s an ebb and flow of communication as different people find clues and advocate for ideas. Regardless of title each person is given a space to be fully heard. What one person sees as a clue may trigger an idea with another person. 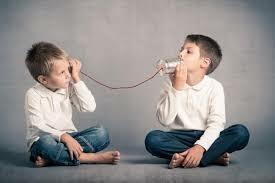 Without this communication skill the clue connection is missed. An escape room is designed to provide a blizzard of information, some useful and some not. Like the pile of email people get each work day. Team members able to successfully discard the useless clues and focus communication around the interesting clues are much more successful due to higher quality information. Each team member is fully present and listening to the conversations from the other members. There are no exceptions and no one is left out. At critical junctures in the event when the team is off track someone will clearly summarize the state of the clues and re-focus the team. We see teams that recognize their communications diversity and each member plays to their strengths. For example, some members are very detailed while others are more of the cheerleader. All types are needed and appreciated. Any team with all cheerleaders will have a hard time succeeding. We hope this escape room cheat was useful but more importantly we hope you’ll apply it to your work context as well.